It is not surprising that the supply of condominiums in Boston is lower than the demand. After all, PWC’s Emerging Trends in Real Estate 2017 gave the city the number 1 rank in property markets. Moreover, people are clamouring to enjoy the perks of living in Boston luxury condos. There is more to the city than people realize. It is home to great institutions such as the Massachusetts Institute of Technology (MIT). It has a ‘Smart City’ tag, which shows its commitment to advancing the city through technology. Plus, it has a diversified economy filled with skilled workers. With such details, it’s no wonder the city has many wealthy households. They are using their surplus money to invest in Boston luxury condos. There are many reasons why they are moving there. Read on to learn more. General Electric’s announcement of moving to Boston is igniting a real estate frenzy in the area. 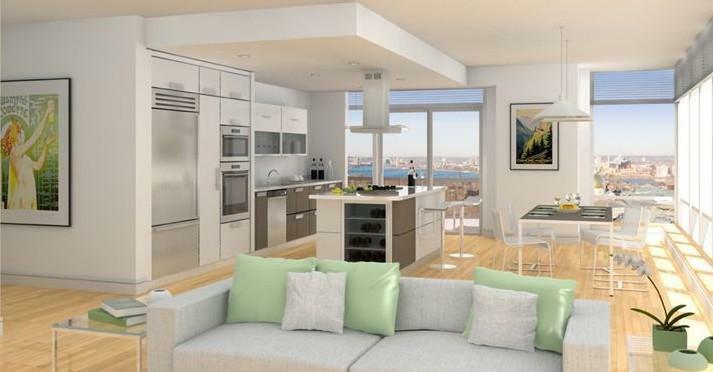 The expectation is for company bigwigs to move into Boston luxury condos. But why is there a huge demand? Boston luxury condos have some of the best amenities you’ll find anywhere. They have expansive courtyards where people can hold meetings, play, or enjoy the sun. They have roof gardens and spaces for relaxing or grilling. The condos have a health club and spa, or another fitness facility. The gym has state-of-the-art equipment and a personal trainer. Moreover, if you live in the building, you won’t have to pay gym membership fees. Residents join other fitness activities such as Pilates and Yoga. If the demand for a particular activity is high, they can hire a trainer. Other amenities include sports courts for basketball and tennis. The clubhouse offers spas, physical therapy rooms, and indoor games. Games include table tennis and darts. The clubhouse is useful for hosting parties and having barbecues. Some luxury condos have a beautiful swimming pool. They can hold pool parties or just rest by the poolside. There are also poolside grills for those who want outdoor snacks. As if that wasn’t enough, some condos have a movie theater. You can enjoy a great movie with your friends or neighbors. There are conference rooms for holding important meetings. Another great feature is the presence of an in-house chef. Many residents get a private parking space. Those with cars may get car maintenance services as well. A beautiful aspect of luxury condos is the scenic views they offer. Some condos have a private terrace and floor-to-ceiling windows. These allow the residents to enjoy looking at the city around them. Due to exposure to sun rays, they use treated floors to prevent fading or warping. Living in Boston luxury condos brings prestige to the owner. Builders and interior designers use high-quality materials when making these condos. As such, attention to details is evident in the use of refined items. The interior design contains antique or gold-plated items. There are marble surfaces and counter tops, antique objects, and quality wood cabinets. There are walk-in closets similar to those celebrities show off on TV. Rooms use modern technology such as state-of-the-art air conditioning and temperature controls. They have top-of-the-range dryers and washing machines. Condos also have the big, beautiful kitchens seen in magazines. The kitchen may have modern equipment with touch-and-swipe controls. It might also use induction cooking. The bathrooms in luxury condos are amazing. They have unique designs, marble surfaces, and Jacuzzi bathtubs. Some bathtubs provide hydro massage therapy, which helps in pain and stress relief. Residents may enjoy the luxurious lifestyle of having boats and a clubhouse. Last, as a condo owner, you can renovate the place to suit your needs. Such changes raise the value of your residence. It is also an opportunity to add striking new and prestigious features to your home. Owners pay fees to the condominium association to take care of maintenance issues. Thus, these condos have 24-hour maintenance services. Professionals maintain the common areas in the building. There are people to clean the pool, clean common areas, and repair broken or damaged items. Others handle the plumbing, lighting replacements, exterior cleaning, and lawn mowing. There are also house cleaning and package delivery services. This gives you free time to do other things. Owners like the leisure of having someone to handle the minor problems. The building has a concierge, doorman, and front desk professional, and dedicated security guards. Security in the neighborhood is also high. This ensures residents are not mugged before they enter the building. Prime locations often play host to the Boston luxury condos. These areas are near other important locations. They include schools, offices, entertainment areas, restaurants, and hospitals. You can also access the Boston harbor, and enjoy the boat and sightseeing tours. Despite the restrictions in some residential buildings, many luxury condos allow pets. While there may be some regulations, condos are a pet paradise. Various condos offer dog walking and grooming services. Others have pet spas to pamper your pet. That’s about as luxurious as it gets. Boston luxury condos bring together people with different social status and interests. It ranges from working people, retirees, to students, and the super-rich. Thus, this builds a community of new friends. They get to share, protect, and build each other. They enjoy the facilities together. Working together in association meetings also helps build relationships and improve the condos. As you can see from these perks, it is obvious why many people want to live in a luxury condo. You don’t even have to own one. If you have the money, you can rent the place and enjoy the perks. Contact us to learn more about real estate in Boston.